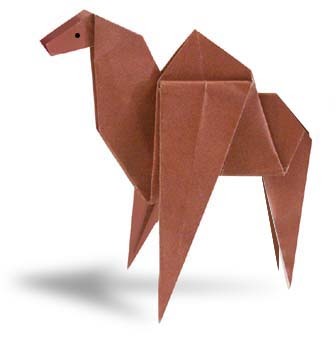 Animals Origami: Camel A camel is an even-toed ungulate within the genus Camelus, bearing distinctive fatty deposits known as humps on its back. 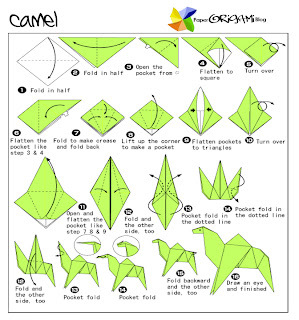 There are two species of camels: the dromedary or Arabian camel has a single hump, and the bactrian has two humps. Dromedaries are native to the dry desert areas of West Asia, and Bactrian camels are native to Central and East Asia. Both species are domesticated; they provide milk and meat, and are working animals. 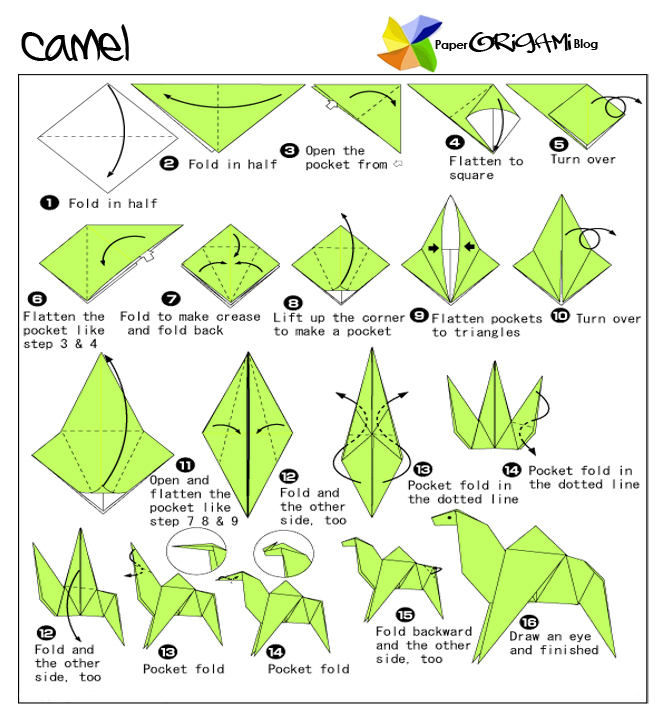 The term camel (from the Arabic جمل, ǧml, derived from the triconsonantal root signifying "beauty") is also used more broadly to describe any of the six camel-like creatures in the family camelidae: the two true camels, and the four South American camelids: the llama, alpaca, guanaco, and vicuña.